That's it...I want this wall. My own version of course. I found this through here, because of a "Get the look" post on Etsy. 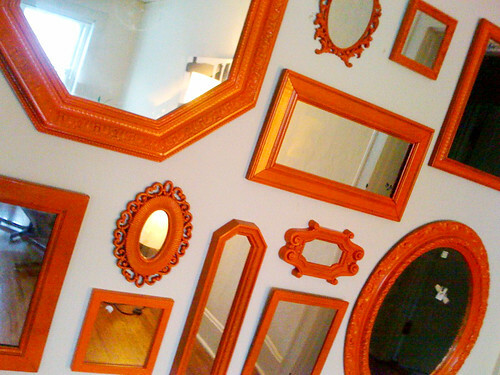 This, of course, means that I have to collect framed mirrors. Seriously though, go check out that first link...his house is amazing and full of so much inspiration!